Human beings are only adept at sweeping, cleaning, wiping surfaces, while, usually burning the waste collected, producing pollution in the environment as a result or getting rid of it by dumping it in lands leading to waste lands, in water leading to aquatic pollution and the like. 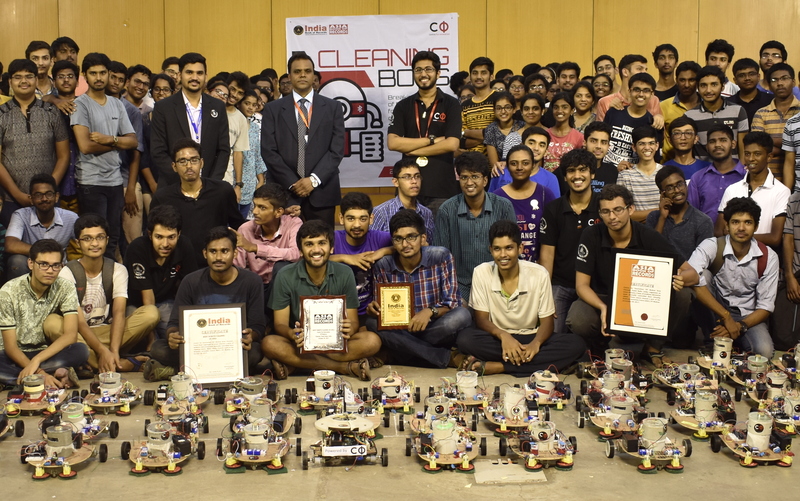 AI/robots going to waste disposal, segregation centres after their day at work, and there, technicians, cleanliness staff, inspectors etc, unloading, rebooting their systems for the future. 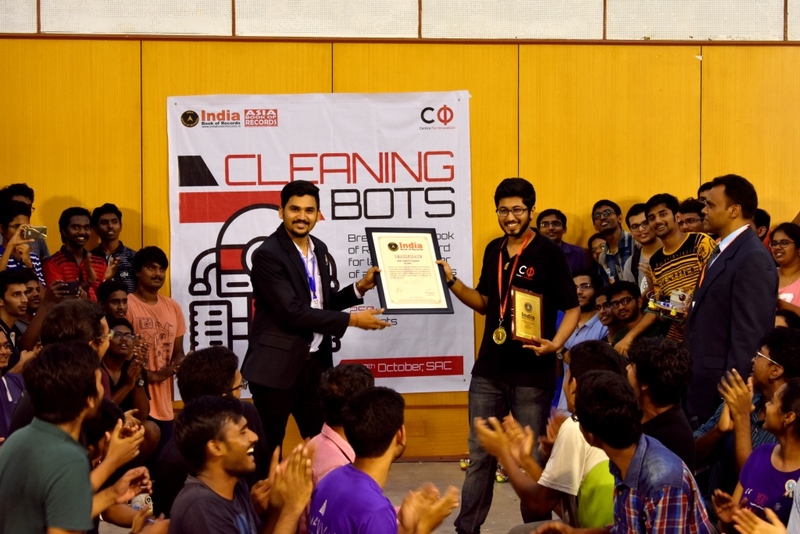 The biggest of the help which robots as cleaners, wipers, sweepers, dusters and the like may prove to be of can be in the direction of eradication of problems, casualties faced by their human counterparts of the same category at present. Machines like human beings are not mortal and after servicing, maintenance, after a few modifications conducted, can be taken into use again and again. Centre for Innovation, IIT Madras from Chennai. 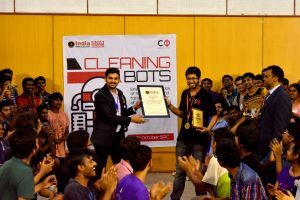 Tamil Nadu organized an event wherein a team of students fabricated 45 manually controlled floor cleaning robots. 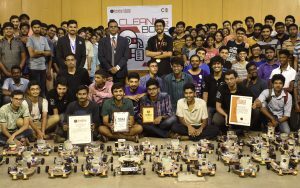 These robots cleaned a part of the Students Activities Centre (SAC), IIT Madras, on October 29, 2017. Comments for MOST ROBOTS CLEANING AN AREA are now closed.